The amazingly fun looking trailer for Steven Spielberg's The BFG has finally arrived. The trailer reveals an epic land full of big and scary giants and will send you right back to your childhood, if you remember the story, that is. The film stars recent best supporting actor Academy Award winner Mary Rylance as the friendly giant and newcomer Ruby Barnhill as the little girl he kidnaps. The film also stars Penelope Wilton, Jemaine Clement, Rebecca Hall, Rafe Spall, and Bill Hader. Check out the fantastical trailer below, and then sound off in the comments with your thoughts. 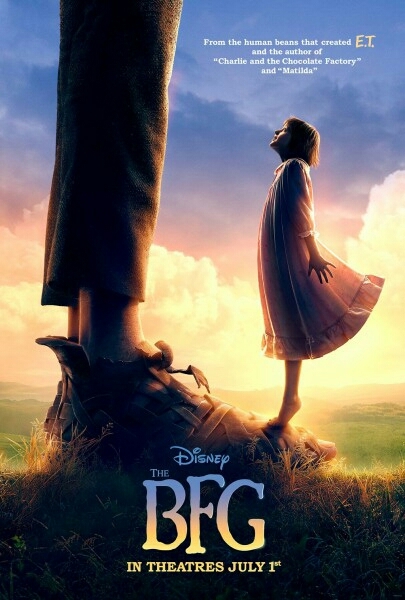 The BFG hits theaters on July 1st.